February 2009 Archives - mudd up! tough, Tunisian, and dubby without using much echo. a distinct production approach… with a great keyboard set low in the mix. 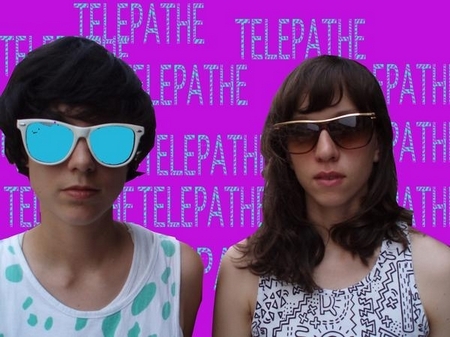 on tonight’s radio show: special guests Brooklyn’s own Telepathe! Their incoming album, Dance Mother, is so great I can’t even talk about it (i just listen again & again)… Since I’m speechless I figured the easiest thing to do was have them talk about it, their influences, soft synths, harmonic convergence, lyrical power, and “Michael” instead. They’ll also be sharing a bunch of new sounds (by non-Telepathes) from hiphop to dubstep and beyond. As always, show goes out at Wednesdays, 7pm EST, 91.1fm, plus realtime streaming, streamable archives, and a podcast version. For fans of the Caribbean/UK/’brown Atlantic’ soundfield, be sure to listen back to the previous guest show on WFMU, when Gervase from London’s Heatwave joined us for massive tuneage and equally deep commentary. This one received a lot of nice feedback. they live in a zoo! me: made in yet another failed african state undergoing massive crisis, but not so famous as Zimbabwe..
now on sale by Belgian label,. 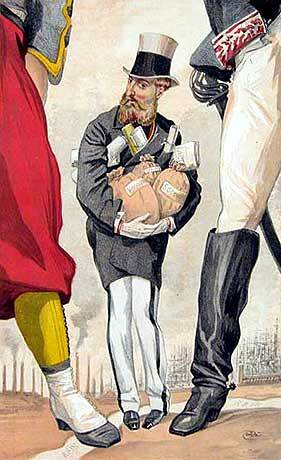 me: ‘King Leopold Productions” – just kidding. i should post this convo on the blog. “Today at the dawn of 2009, people in the Congo are still dying at a rate of an estimated 45,000 per month and already 2,700,000 people have died since 2004. – wikipedia sourced from this New York Times article. by the way, I twitter. Busy today but soon I’ll try to explain why I like it. 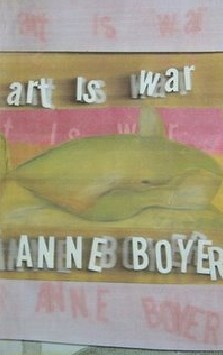 Anne Boyer sent a handmade book to an address where I haven’t lived in over two years. It arrived to me, eventually. Join terrorist cell. Encourage terrorist cell to blow up dams/create dams on major waterways. Control the flows of creeks, streams, and rivers so that they sculpt the United States into your poem. supplies: mock ideological fervor, dynamite, concrete, map. The land of Jbala is usually fairly green but not necessarily fertile. It is well-watered in winter but most often furrowed. The atmosphere can become very special whenever the marine influence suddenly turns from Atlantic to Mediterranean, creating that peculiar tension of the air which newborns are particularly sensitive to. . . It is within this universe, in turn bucolic and wearisome, that the poetry of the taktoba jabala has set its great universal themes: the softness of spring, almond tree flowers, clear water, milk, honey, olive oil, and the first blush on the cheeks of a beautiful black-eyed cousin who can also hurt or burn up the soul of the bard. . . In this greatly eroded land, almond and olive trees alternate with meager meadows. Many of the inhabitants have emigrated to Fes. 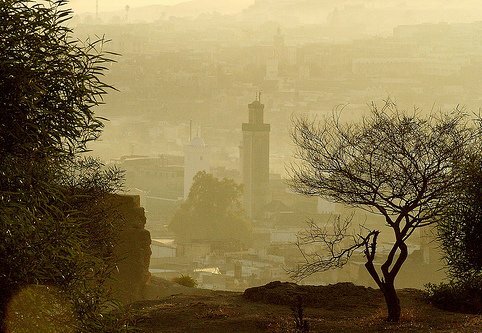 The timeless economic, artistic, and religious relationship with the Arab-Andalusian capital illustrates a paradigm quoted first by Plato and later by the Moroccan historian Ibn Khaldoun: the harmony of a true civilization can only come from a deeply rooted relationship between town and country. This, although masked by a certain degree of aggressive industrialization, is powerfully illustrated by the taktoba jabalia of Laarousi Lahcen. party might ram up. Just finished debating w/ Geko Jones (check the interview & minimix) about the # of bassbins to bring. Also: A new Rupture cumbia mix CD will be on sale for cheap: K-K-Kumbia! The Dutty Artz family is back with another installation of its tropicaliente beats and bassline party: New York Tropical. Residents Geko Jones, Matt Shadetek and DJ/ Rupture will be joined by Brooklyn’s hometown heroines Bunny Rabbit. This is your last chance to chance to check B.R. out before they head to Easten Europe and spread the Cult of Miracles gospel. Bed Stuy get ready! + special guests Bunny Rabbit! I can’t tell if SoundCloud is gonna start charging me or not, but I’ll put it up for now. The first tune I received is great, will play on the radio tonite. Optimism pervades. and in other news, our Cumbia blog, La Congona New Cumbia, continues. Here’s a quick map of Sunset Park Brooklyn’s taquerias + cumbia stores. Benoit from Montreal has started writing! He just upped a great mix of new sonidera. We DJed together recently and he was pulling out some impressive jams… Brother is in deep! very glad to have Benoit on board. Listen up y disfrutalo. I’ve always enjoyed the electroacoustic & ambient work of Luc Ferrari. 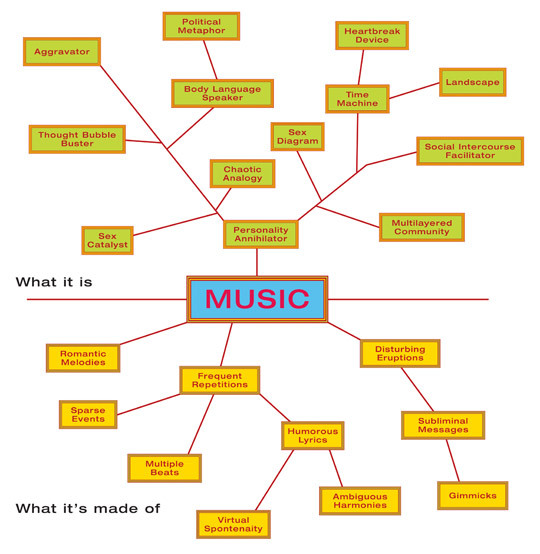 Musique concrete maintains a whole other level of respect and coolness in France – maybe it’s due to protectionist broadcast policies, or IRCAM, or their fashion sensibility, or something deep in the Gallic character like the predilection for heavy creams and bureaucracy. (usually my record crate contains at least one LP of what sounds like creaking wood or squirrels gnawing at a piano – doesn’t always get played, but it’s good to have something like that around). Ferrari made seductive work, which continues to pulls the ear in. Even at the most experimental/abstract moments there’s usually a placid spirit inside it. This is from a recent release, Archives Génétiquement Modifiées / Société II. …Mr.Ferrari revisited aspects of his early concepts and compositional strategies to create wholly new works. 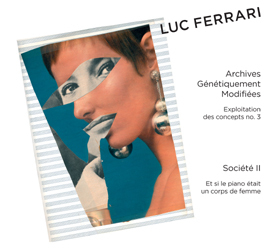 The result here is a very bizarre, sensual, and beautifully-paced electroacoustic work of aural memories and (re)collections created by Mr. Ferrari utilizing sounds from his vast archive of musical activities.